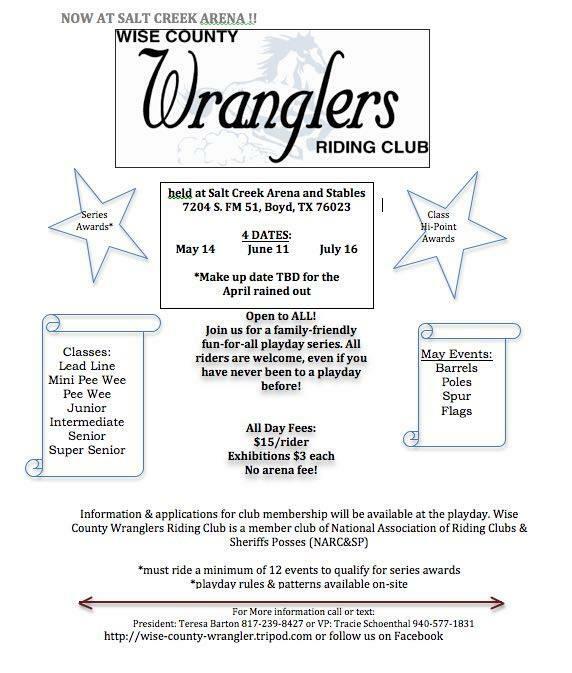 Wise County Wranglers is made up of many families who soon become one big family in the club. We promote a family oriented environment along with horsemanship and sportsmanship. Our riders range from the little ones who are led on horses (lead line) and adult beginner riders (Novice) to the "more experienced riders". 2016 is on it's way! We hope for new and exciting things this year! CLICK HERE TO SPONSOR OUR PLAYDAY SERIES AWARDS! We pray for the safety of our military men and women. Got Questions? Call or email our friendly officers!